Progress Flight Academy specialises in providing premium flight training to clients who wish to achieve a genuine operational capability in multi-engine piston aeroplanes and attain the Commercial Pilot Licence with multi engine Instrument Rating (CPL/IR (ME)). The flight training syllabus on our Professional Pilot Course is highly structured and based on best international practice; the European Joint Aviation Authorities Flight Crew Licensing standard (JAA-FCL). 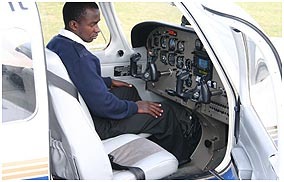 Theory training is to the South Africa syllabus for the Airline Transport Pilot Licence. Residential students are accommodated on the flight school campus at Progress Aerodrome, near Port Elizabeth, in South Africa. The private aerodrome is exclusive to our students so there is no traffic congestion; and the close proximity of the General Flying Area and instrument training facilities ensures efficient use of flying training time. A fleet of well equipped late model Piper Warrior and Piper Seminole aeroplanes is used for the flying training. The fleet is owned and operated by the flying school. Competitive pricing together with efficient use results in excellent value. Progress Flight Academy graduates have performed well in conversion to Boeing 737 and other turbine aeroplanes after completion of pilot training for South African Airways, Kenya Airways, and Tanzania Civil Aviation Authority. Progress Flight Academy is a part 141 CAA approved Aviation Training Organisation located at Progress Aerodrome near Port Elizabeth in South Africa.The aviation training offered by Progress Flight Academy meets or exceeds the requirements of the International Civil Aviation Organisation (ICAO) and the South Africa Civil Aviation Authority (SA CAA). Professional Pilot flight instruction is based on the hours specified in the EEC Joint Airworthiness Authorities (JAA) syllabus and is thus the solution for those seeking training in accordance with general airline training. The Private Pilot training will qualify a student with no previous experience to fly a single engine piston aeroplane safely and efficiently in visual conditions by day. A course commences every six weeks, and the planned duration is twelve weeks. Flying training is in late model Piper Warrior III aeroplanes. The Integrated Course provides seamless theory and flying instruction for a student with no previous experience through to the Commercial Pilot Licence and Instrument Rating (multi engine). The groundschool is the Airline Transport Pilot Licence syllabus; graduates will have passed the ATPL examinations. A student with a Private Pilot Licence may also be accommodated on the course.A course commences every six weeks and the planned duration is twelve to fourteen months depending on the course option. Flying training for the single engine part is in Piper Warrior aeroplanes, and the multi engine part is in Piper Seminole aeroplanes. Modular Flight Training provides completion training for students with experience and qualification beyond the Private Pilot Licence. The training is based on the same syllabus as the Integrated Course and also leads to the Commercial Pilot Licence and Instrument Rating (multi engine). Students on the groundschool module (ground training theory) will also complete the ATP syllabus, but will write the examinations at CPL level.An individual Training Plan is tailored to the needs of each student. 'One' Flight Training achieves a high level of operational capability that enables the JAA student to transition smoothly to the JAA Commercial Pilot Licence and Instrument Rating modules. 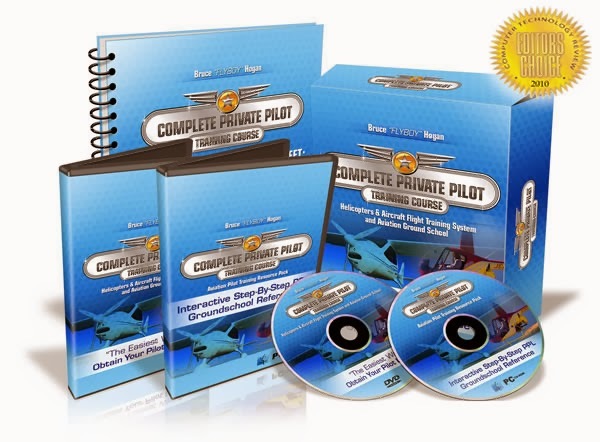 It is a highly structured course based on the Professional Pilot Integrated Course. The flying instruction is in Piper Warrior and Piper Seminole aeroplanes. Courses are available for students with no previous flight training experience (ab-initio) or with a Private Pilot Licence. An individual Training Plan will be prepared for students with experience beyond the Private Pilot Licence. Flight Instructor Training is available to candidates who completed their Professional Pilot Training at Progress Flight Academy, who achieved good results, and have a suitable temperament. It is intended primarily for training Flight Instructors for employment at the Academy.The flight instruction for this course has a planned duration of twelve weeks and leads to a Flight Instructor Grade III with Night Rating Instructor Endorsement. I really appreciate your post. and I got very useful information about the Online Flight Instructor Course. Very informative and interesting post. Yes definitely this type of post are really helpful for the peoples great job. Thank you so much for sharing it with us.